Oh, the comb-over! You have combed the lands a long way since the guys on Wall Street, your awkward university professor, and the notable not-so-fashion-inclined Donald Trump. 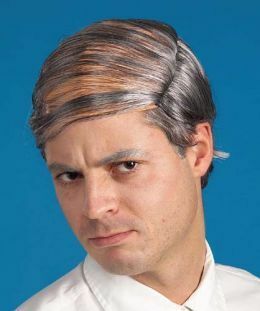 More recently, we’ve seen the combover done with a more chic tasteful twist. Celebrities like Miley and David Beckham rock it effortlessly. Redemption comes in many brush strokes, as this art form regains its less comb-ersome quality. After all, why bun when you can comb? Long hair can have a combover also. No lenth left behind. Let’s all comb our hair today ladies and gents. To get the perfect comb-over, use these items.